What’s a visit to a coastal town without riding the waves? Goa is one of the most popular vacation destinations in India, whether for a quick getaway or a long vacation where you will relax at the beach, go for a swim in the Arabian Sea, eat amazing seafood, and party hard at the nightclubs. But no Goa vacation can be complete unless you have rented a boat and tried cruising on the rivers and the sea, and enjoyed the water sports in Goa. The coast of Goa extends for about 125 kilometers with more than 50 beaches. You can rent a boat in many of these beaches for a cruise on the sea. There are a few islands as well close to the shore, such as Grande Island, Chorao Island, Divar Island, Sao Jacinto Island, Conco Island, Anjadip Island, and the San Antonio Island where you can take a boat and visit. There are many rivers too, like the Mandovi River, Mapusa River, Sal River, Chapora River, and the Zuari where you can go on a Goa river cruise. Boat rentals in Goa can be a lot of fun. You can rent a shared boat with others or book one that will be exclusive to you and your group. You can choose from a small one, like for instance a speed boat, or a large vessel that takes groups on dinner and sunset cruises. You can book something more luxurious as well, such as a private yacht or catamaran, something more adventurous like a jet ski, or a boat that takes you closer to nature, like for instance a single-person or double kayak. There are house boats in Goa as well that can be rented for the day or for a night stay. Truly, there are plenty of boat rental options here for you to choose from. Rent these boats for a fun ride on the Arabian Sea. You can rent for your entire group of family or friends, share with others, or just for you. However, a banana boat ride is best done with others. Ride the waves and try to avoid getting flipped over. You can rent both a speed boat and banana boat at many Goa beaches, like Calangute, Agonda, Baga, Vagator, Palolem, Miramar, Candolim, Anjuna, Colva and others. Try windsurfing in Goa. Enjoy the excitement and thrill as you do jumps, rotations, slides, flips and loops on water, or just surf through the water gently, riding the waves. Windsurfing brings together surfing, sailing, and the uniqueness of gymnastics on water. Technically, it’s not a boat, but a board with a sail over it. But the experience will be like riding on a boat, in fact, even more than that. The best time for windsurfing is early in the morning when there is a calm breeze. You can rent them at Bogmalo, Vagator, Palolem, Arambol, Colva, Agonda, Miramar, and Baga beaches. Keen to try your hand and luck at fishing in Goa? Ride on a wooden fishing trawler with cabins, toilet, modern amenities onboard, and all equipment you will need to catch the tuna, salmon, king mackerel, barracudas, red snapper, and more. Learn how to use the tools like a rod, reel, line, hooks, and how to set up a fishing tackle. The best places for fishing in Goa are – Grand Island, Mormugoa Bay, Cabo Bay, Sinquerim Bay, Sail Rock, St George Island, Sunchi Reef, Amee Shoal, Zuari River, Mandovi River. You can also ride on the wooden trawler to reach the islands just off the shore. A speed boat won’t take you close to the birds and bats, which you will get plenty in Goa. Rent a kayak and gently move in closer. You can kayak through the sea, the rivers, narrow channels, backwaters, mini bays and the mangroves seeing the water and bird life and appreciating the beauty of nature. You can see kingfishers, osprey, sea eagles, and more. Kayak past ancient temples, historical churches, and rural villages. There are early morning, late evening, and day trips to choose from. You can kayak at Hollant, Palolem, Zuari, Sal backwaters, Spike's River, and the sea. A dinghy is a small boat for 2-3 people that have to be rowed. These boats are perfect for you if you don’t feel safe in a kayak or don’t want to take the trouble of paddling yourself. The boatman can do the rowing, while 2 others can sit safely on the boat. It’s a relaxing ride. The boat doesn’t have a motor, so it moves silently, meaning you can get close to the birds to take pictures. You can do a little bit of fishing and crab hunting as well. Take home your catch for dinner. You can rent a dinghy for as low as 2000 Rupees for 4-5 hours in Goa. You can also charter a luxury yacht in Goa for a relaxing and luxurious holiday. There are many amazing yacht options for you to rent from. Choose from the most modern motor yacht that comes with all modern luxuries, comfortable saloons, an open-plan galley, and stylish cabins. The yacht all have air conditioning and a cabin crew that will cater to all your needs. Rent a powerful and spacious yacht to reach the distant beaches, sail away to the many islands around Goa, or just cruise through the beautiful rivers and enjoy the nature on both the banks. There are sailing yacht and catamaran too you can rent. A sailing yacht will give you a different experience. With wind behind the sails, you will feel almost like flying. No motor, no noise. Catamarans are good too because of their larger surface areas where you can spread out and relax while sailing. Their shallow drafts let you get close to the island and pass through shallow waters more easily. These are not your luxury yachts, but are still very comfortable and convenient. They are more affordable. There are two staterooms for lying down when you want to relax. There is a large salon, fly bridge, and a roomy galley. Teak flooring throughout! There is a dining and bar area too. You can stand on the deck on the top tier for a fantastic view. Rent these boats and cruise at 13 knots. Cruise through the rivers or the open sea. You can go on dolphin watching trips, and also see crocodiles, and lots of birds. The classic cruise boat can accommodate 26 people. When you think of house boats in India, usually the ones on the Dal Lake in Srinagar, Kashmir, and the ones in the backwaters of Kerala comes to the mind. But that is changing fast with Goa emerging as a hot house boat destination. Rent a house boat in Goa for a cruise on the Mandovi or the Chapora River. You can rent for a day or an overnight trip where you will spend the night in the cabin. Many of the house boats are heritage vessels that promise privacy, safety, comfort, great hospitality, hygiene and warmth. Relax on the deck, take in the natural beauty, take pictures, or you can enjoy water sports too. Many house boats in Goa carry kayaks. Get back to nature with the sounds of birds, the sight of local fishermen and riverbank farming. You can also watch the sunset from your house boat, while sipping a drink. It will surely be an unforgettable experience. All meals are provided on board for an overnight trip. A day trip may include a welcome drink, light snacks, and lunch or dinner. Goa is a hot and happening party destination. The nightclubs of the North, mainly in Calangute, Candolim, and Baga are always busy after the sun goes down. There are other party destinations in Goa as well, such as Vagator, Anjuna, and Palolem. But they are all land-based, held at the many beach shacks and nightclubs. Why not party on a cruise? Enjoy the feel of being on a cruise, as you dance to electrifying music, and have great foods and drinks. It would surely be a fascinating experience. Take a break between songs and relax by taking in the fresh sea or river air. Enjoy the sunset from the deck in the evening. You can rent a boat in Goa for a river or ocean party cruise. There are government boats that leave from the jetty at Panjim, but you will have to share it with many others. Make your party more private and luxurious by renting a luxury yacht. The boat party in Goa then will be for just your own group. The yacht is already equipped with everything you need for comforts. They will make the necessary modifications for your party and may also get a DJ and additional lights if you want. A dance floor can be created on the deck. It can be a birthday party, a wedding party, or a corporate party as well. 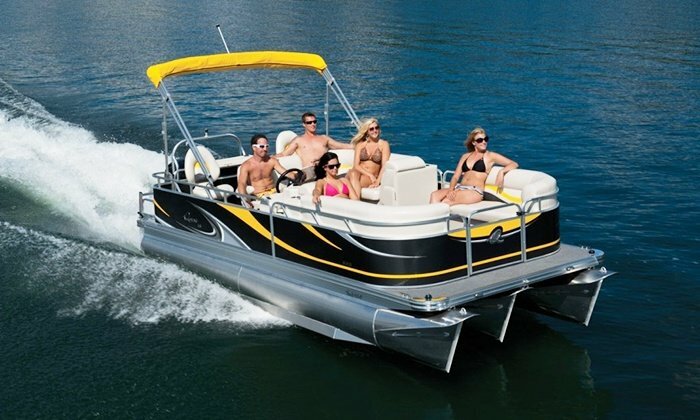 Rent a boat in Goa in your next vacation to make your trip truly memorable. You can rent a boat for adventure and thrills (speed boats, banana boats, windsurfing), to go on a fishing or snorkeling trip, a house boat or kayak to enjoy nature, a yacht to enjoy a sophisticated lifestyle, or a party boat for partying or celebrating birthdays, anniversaries, and other special occasions.